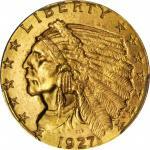 Lot:3012 1855 Liberty Head Quarter Eagle. MS-63 (PCGS). CAC. 1855 Liberty Head Quarter Eagle. MS-63 (PCGS). CAC.Pretty light golden patina blends with billowy mint luster on both sides of this boldly to sharply struck example. With a generous (for the era) mintage of 235,480 circulation strikes, the 1855 is one of the most frequently encountered Liberty Head quarter eagles from the pre-Civil War era. The vast majority of survivors are circulated to one degree or another, however, confirming the condition rarity of this premium Choice Mint State example. A find for both advanced gold enthusiasts and better date type collectors.